Because of Midwest BREW, we came to love a very special little beagle girl, who has left her pawprints on our hearts. My 10 year old middle daughter (who was scared of dogs) was befriended by “Laverne” at your 2004 Beaglefest. My other two daughters, my husband, and I immediately fell in love with her beautiful deep amber eyes and gorgeous tri-coloring. She had lots of freckles on her front legs too. She was sweet and gentle and loved to be petted. Shortly thereafter, we adopted Laverne and she came to live with us. We renamed her Nikki. 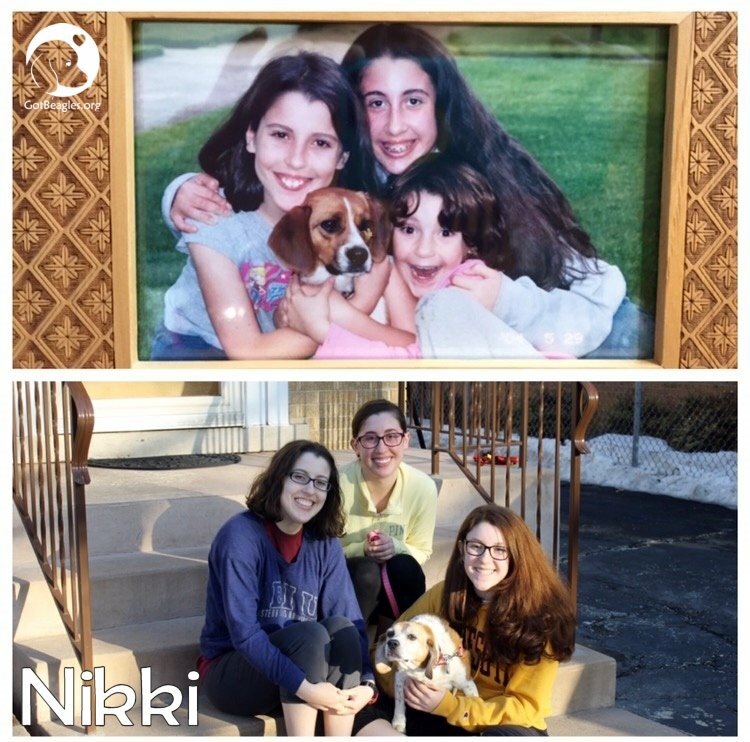 Nikki was a loving dog, very curious of her surroundings, and her tail wagged constantly. She never met a human she didn’t like. Everyone fell in love with her in return. In September of 2014, we learned that the cough she had was caused by a rapidly growing cancerous tumor in her right lung. This morning, March 13, 2015, our constant companion of almost 11 years peacefully crossed over the rainbow bridge in the home that she loved. Until we meet again one day at the bridge – our wish for you is to run as fast as your little freckled legs can carry you! Thanks to MW BREW, Nikki brought much joy and sunshine into our lives.